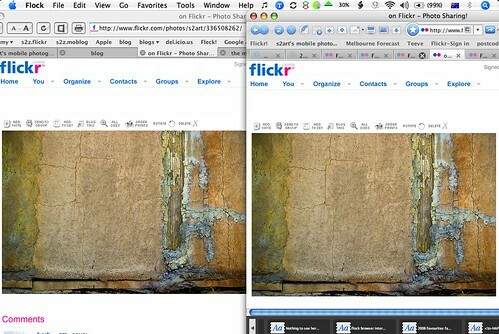 Well a simple test seems to indicate that Flock like Firefox doesn't use colorsync like Safari, ah well. This page contains a single entry by s2art published on December 31, 2006 7:13 PM. Flock The Browser For Web 2.0 was the previous entry in this blog. Camera Icons is the next entry in this blog.